What is involved in a Dermalogica® skin treatment? You know how long you are spending in the treatment room as the names give it away. But did you know how these treatments are broken down and truly customised for each individual that walks in through the door? As you can see the ProSkin 30 is a brilliant choice if you are looking to target something specific. But what if you are in need of a quick boost but don't even have 30 minutes spare? Got 10? Each SkinSolver® is a predesigned treatment plan devised by Dermalogica® that uses the power of professional ingredients teamed with technology to change the skin in a flash. Some of my favourites include; Dewy Skin SkinSolver®, Flash Glow SkinSolver® (perfect before a party or special event), Fresh Glow SkinSolver® (my personal go-to if my skin needs a quick but deep exfoliation) and the Lip Smoothing SkinSolver® (yes you can pick a specific area to target). Keep an eye out for the latest SkinSolver® to be released, as they are a must if you leave it a little longer than you should between treatments! If you are skin care obsessed you will already know that Vitamin C is an amazing ingredient. You will also know that not all Vitamin C products are created equally. In fact some can be so unstable that by the time they reach your skin they are no longer effective. Dermalogica introduce an ultra stable Vitamin C complex in BioLumin-C Serum. So what makes it so great? Well I'm going to give you a quick set of questions and answers and a longer explanation so if you get bored you know the main points and don't have to say tl;dr! In today’s world, skin damage is a daily reality. Vitamin C can help fight the stressors that cause damage – and BioLumin-C Serum represents a new generation of Vitamin C products. A high-performance serum that works with skin’s own defences for brighter, firmer, more radiant skin. Advanced bio-technology fuses ultra-stable Vitamin C with Palmitoyl Tripeptide-5, which works along with an AHA to fight oxidative stress and the appearance of ageing. Suitable for all skin types, especially good for those of you in your 20's looking to prevent future damage and also great for those of you who can't quite remember being in your 20's as it will help with pigmentation, fine lines and wrinkles! RRP is £81.50, your price is £67.83 with free mini products. The first eight people to pre-order will also receive a trial size, which can be used first and if you decide it is not for you, simply return the unopened full size product for a refund. BioLumin-C uses new technology and research to fully harness the power of Vitamin C by combining two highly stable forms of synthetic Vitamin C (Ascorbosilane SP and K3 Vita C) along with other ingredients like Palmitoyl Tripeptide-5, which is a unique short-chain synthetic peptide that works using innovative anti-wrinkle technology. Another key ingredient is Lactic Acid, this Alpha Hydroxy Acid’s chief benefit is exfoliation. It helps remove dull, dead cells from skin’s outermost layers. This accelerates cell turnover, revealing smoother, brighter skin with reduced fine lines and wrinkles and helps further increase product penetration. Next up is Salvia Hispanica Oil (Chia Seed) which is rich in antioxidants that help quench free radicals, and it contains more than 60% omega-3 fatty acid – one of the highest concentrations of any plant source. Then we need to talk about the bioavailability. BioLumin-C Serum’s advanced technology delivers more Vitamin C into the skin – which means that more Vitamin C is bioavailable to protect and defend skin. This superior formula outperforms other Vitamin C products (including those formulated at higher concentrations). When tested against two leading Vitamin C products, BioLumin-C had higher Vitamin C intensity as it penetrated deeper into the stratum corneum. If you are already a Vitamin C fan and are worried about oxidation, fear not! The Vitamin C complex within BioLumin-C is highly stable and formulated to minimise oxidation and Vitamin C degradation. All in all it's bloody fab! Those of you who were upset to see MAP-15 go, now you know why. If you would like to pre-order please message me, as stated before the first eight people to do so will also recieve a trial size bottle. Pleased to share that today I became accredited by MASCED.UK a programme developed to raise awareness of skin cancer across the health, beauty and hairdressing industry. While we in these industries are not medical professionals who can diagnose, we still see your skin and areas you may not even notice often. This gives us the opportunity to let you know if something looks like it needs checking out by your doctor. Let your hairdresser or therapist know about this too! Have you or someone you know purchased from Dermalogica online in March? Do you have a voucher for a free ProSkin 30 and are wondering where accepts them? The answer is, I do! Book in for you free treatment anytime up until 30th June 2018 and experience a professional grade skin treatment in the hands of an expert. When booking in person: The original voucher must be presented upon booking in person at reception, no copies can be accepted. If you cancel outside of our guidelines you will forfeit the voucher. 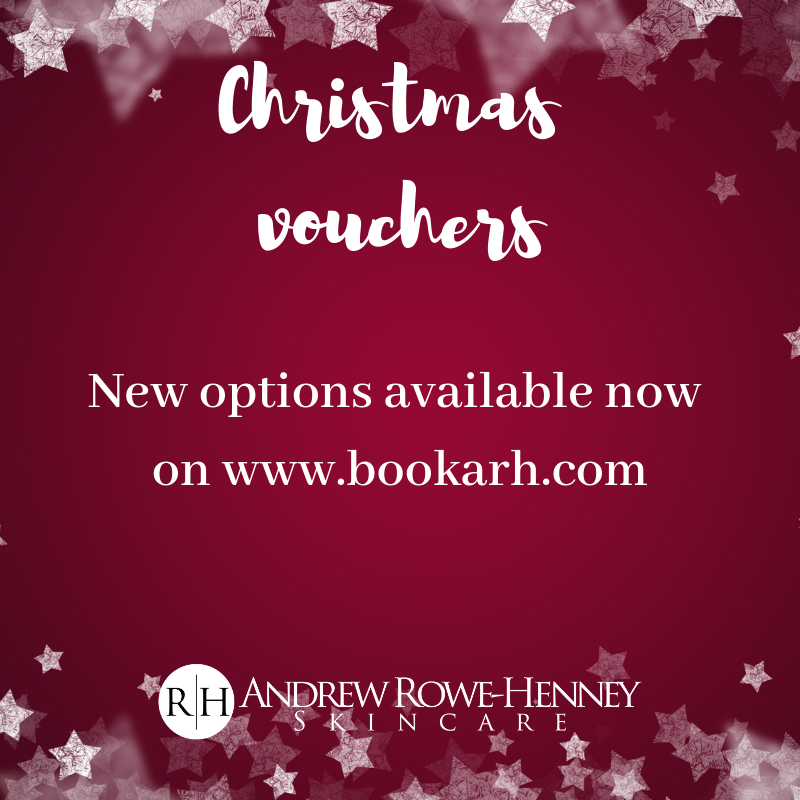 Online booking: You may book online and bring your voucher to your appointment, however a £10 non-refundable booking fee will be taken to secure time which will be refunded at your appointment or can be used as credit against products or future bookings. When booking the ProSkin 60 upgrade the full supplement of £20 will be taken as a non-refundable booking fee. If you do not present your voucher you will be charged the full price of the treatment, which will be refunded if you present your voucher prior to 30/06/18. By booking you agree to these and all other terms and conditions. Genesis is now available as part of Dermalogica® ProSkin 30 and ProSkin 60. Do you have fine lines & wrinkles, sagging skin, rough & uneven skin, sun damaged skin, uneven pigmentation, age spots, puffiness, post acne scarring,blemishes & redness, uneven skin tone, cellulite, stretch marks, dry & flaky skin? If you answered yes to any of these, then this machine will help. As with other electrical modalities that I use, I do not charge any extra for using them during treatment. The price you see when you book, is the price you pay at the till. If we have a chat about your skin and decide this would be a great treatment option for what you want to achieve, expect to increase the frequency of your treatments to weekly for three to six weeks to provide best results before dropping back to your regular fortnightly or weekly treatment. For full face and neck treatment book for a ProSkin 60 at £47 or for a targeted treatment (i.e. post acne scarring or fine lines around the eyes) book in for a ProSkin 30 at £26. For body treatment, Ultrasound is the most up to date treatment in the fight against cellulite. It will even help with a minor case of 'bingo wings'! Full body treatment including arms, legs and torso is £40 with a targeted treatment option ('bingo wings' or cellulite) priced at £20. Summer holidays on the way, where are you going? Wherever you are going, make sure you are not neglecting your skin. Not looking after it for a couple of weeks can't be undone instantly, so I'm telling you now meaning I can say "told you so" in a few weeks. Don't make me say it! Travel knowing your skin is covered. Purchase your regular moisturiser* and two travel sizes, and get a free Dermalogica® tote bag and travel size Power Cleanse Duo (Pre Cleanse & Daily Microfoliant) worth £34. Get the Travel Essentials Kit containing award winning Conditioning Body Wash, Body Hydrating Cream along with Daily Cleansing Shampoo and Daily Conditioning Rinse for £30 (normally £37), which will count as your two travel sizes if you don't need the other travel size skin products. BTW you have to come and smell these four, they are on the tester stand, so make sure to have a look next time you are in. Don't like greasy sun creams that give you spots? Neither do I, which is why I have plenty of samples of Protection 50 Sport SPF50. It is a broad spectrum (UVA & UVB) lightweight and water resistant SPF, which as the name suggests makes it great for sport but also for when you need to know your skin is adequately protected. Try before you buy with a sample and invest in the best sunscreen you will ever own for £32.50. Barrier Repair from the UltraCalming® range is the perfect insulator for your skin on a flight, making sure your skins TEWL (Trans Epidermal Water Loss in case you want to know for future reference. It may also pop up in a quiz!) is kept to a minimum, and perfect for whatever destination as it can also help protect your skin from wind burn if you are off skiing. Currently there is a massive upswing of fake and diverted products flooding the market. Dermalogica® have now started implementing new tracking procedures (Overnight Retinol Repair 1% is the first to have them), this will hopefully see an end to diversion on the level that it is currently. Diversion, if you are not aware is stores (like T.K. Maxx) obtaining professional salon brands from people who hold genuine accounts with companies like Dermalogica®, Elemis, Tigi, O.P.I. etc. and selling them on. Perfectly acceptable you might think. The problem with this is some products have a 'use by' date. In a salon we are aware of how long stock has been on a shelf, and if it is out of date or about to be unusable within a couple of months and we send it back and get the product replaced with a fresh one. Those selling to stores are most likely not really bothered as there is no motivation for them to go to that kind of trouble. Then there is the issue of storage. I do not have a warehouse which flips up and down into high and low temperatures, whereas these stores can do. The environment the products are kept in can have an effect on the stability of the product. There are places like John Lewis (an authorised stockist) that have Dermalogica® staff in them who can make sure the products are stored correctly, and more importantly professionally prescribed. If you look on your products packaging, most do say the are guaranteed when professionally recommended. Meaning if you have bought them without being checked by a professional for any potential allergies or risk of aggravation of a condition, then it is buyer beware and you have no legal recourse with these stores. Fake products are another issue. When any brand becomes popular, there is always a fake following not too far behind. With this it is a simple matter of you not knowing what is going on your face. How do we fix the problem? Stop buying online and start buying from a local authorised stockist. I know sometimes the online thing can be a draw to save a few quid, which is why from 13//05/2017 a price match guarantee will cover all Dermalogica® products sold through authorised retailers found here: http://www.dermalogica.co.uk/uk/about/authorised_retailers.html and I will also price match www.johnlewis.com this is up to you to point out when you come in and I can check on the day (I don't have time to check them all daily as I don't have the resources of John Lewis!). As an added note, the free treatments with spend levels is still in place, which you do not get online and also certain freebies like above will remain exclusive to treatment providers. The amazing 30-30-30 offer is back on. As this was so popular last year, I am allowing advanced bookings. I am limited to 48 of these packs, so when I reach 48 bookings for this offer that is it. The treatment is now live on the booking system at www.bookarh.com look for Dermalogica® 30-30-30. Please remember to book in June for this offer, if you book it for May I will still be able to do your treatment, but you will not receive your products until June. Remember once 48 people have booked there are no more of these packs, so get in there first! Special Cleansing Gel, Daily Microfoliant, Skin Smoothing Cream and MultiVitamin Power Firm. You may have noticed the website is changing over. Due to issues with unreliable hosting, the website is being shut down with the current provider and a new site put up instead! As the business name changed last year, I have decided on a new URL. So in future you will be able to go to www.arhskincare.com or www.bookarh.com to see what's new and also book in. New URL and new look! Welcome to the new site, along with social media channels, you will now be able to catch up on news here. But don't forget to subscribe to the email newsletter which will contain special promotions sometimes not found on the site.